Soak the gram in water for atleast 8 hours. Pressure cook along with a pinch of salt for two to three whistles. Drain the excess water and keep aside. In a kadai put the oil and when it is hot add mustard. When it pops up, add red chillies broken into pieces along with asafotida powder and curry leaves. Fry for a while. Add cooked gram. Mix well. Add a pinch of salt and coconut gratings. Mix once again and remove. Note: There are two varieties of wholegram, white and black. The black coloured gram is tastier. 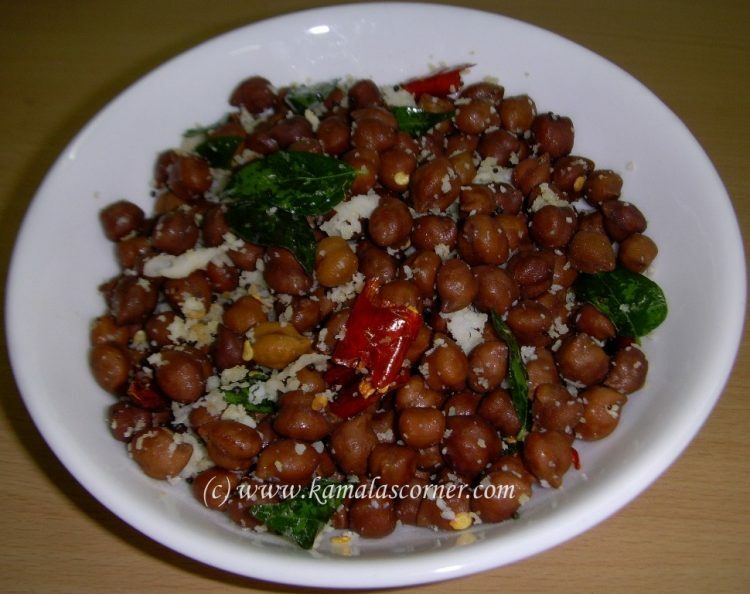 You can add in the sundal few drops of lemon juice or a small piece of mango grated finely. Thanks a ton. Any amount of thanks may be less….